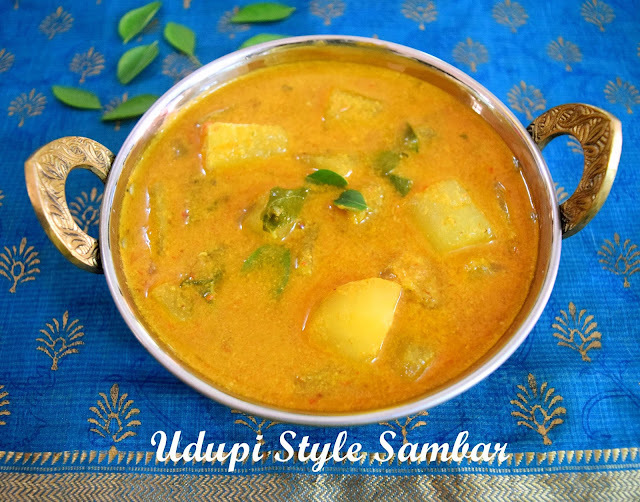 Udupi Style Sambar called "Masali Kodhel" in Udupi is a preparation made of ground masalas, vegetables and dal. It is very similar to the "Arachivitta Sambar" made in Tamilnadu. I have used Mangalore Cucumber or Mangalore Southekai which is mostly used in this style of Sambar. You can have this Sambar with steamed rice, idlis and dosas. 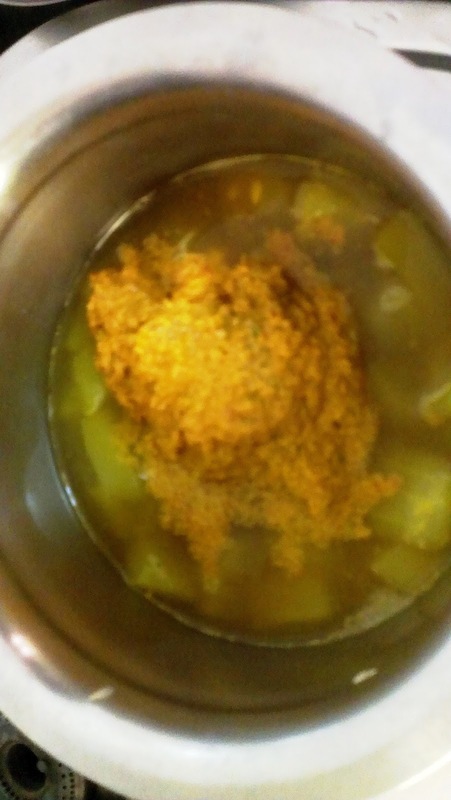 Boil the mangalore cucumber in a cup of water and add the tamarind extract, jaggery and turmeric powder. 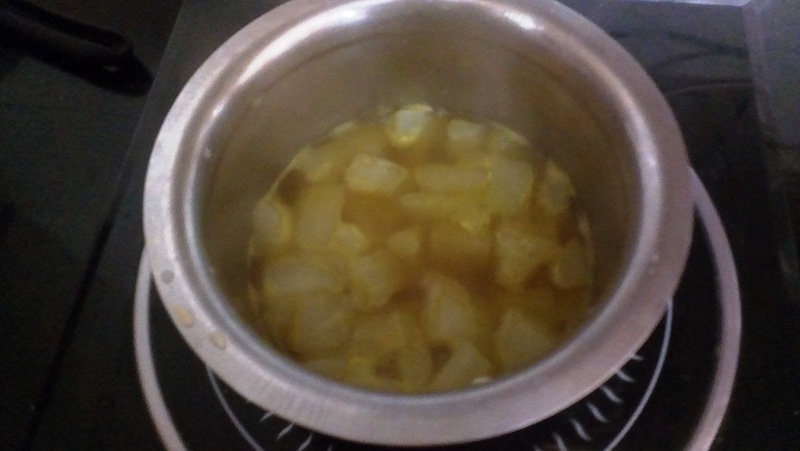 Let it boil till the cucumber is cooked. 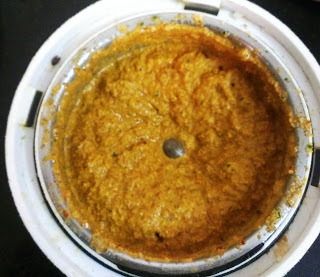 Heat oil in a small kadai and add the ingredients mentioned under "for the paste" except the coconut. 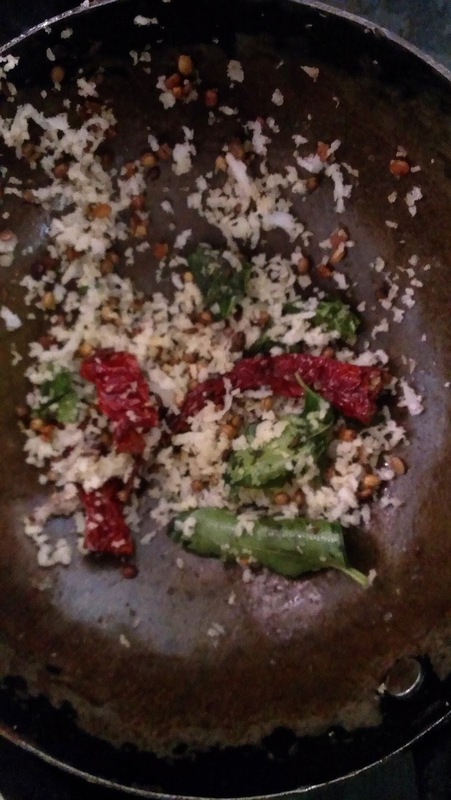 When the urad dal turns light brown, add the coconut and fry for a few minutes. Switch off the gas and let the paste cool down. Grind this to a fine paste in a blender/mixer. Add this to the sambar with dal and bring to a boil. Heat oil in a small pan and add curry leaves. Add this to the sambar. 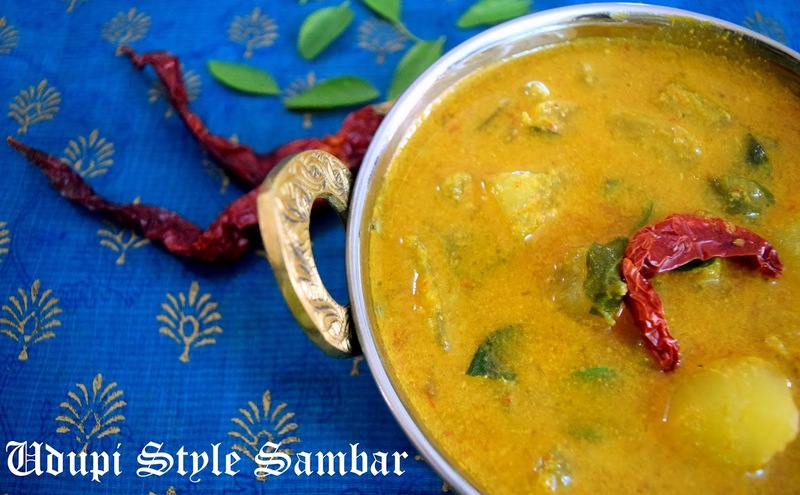 Serve sambar with steamed rice and papad. You can use any vegetable like white pumpkin, beans, cabbage, carrot, onion and potato for this sambar.